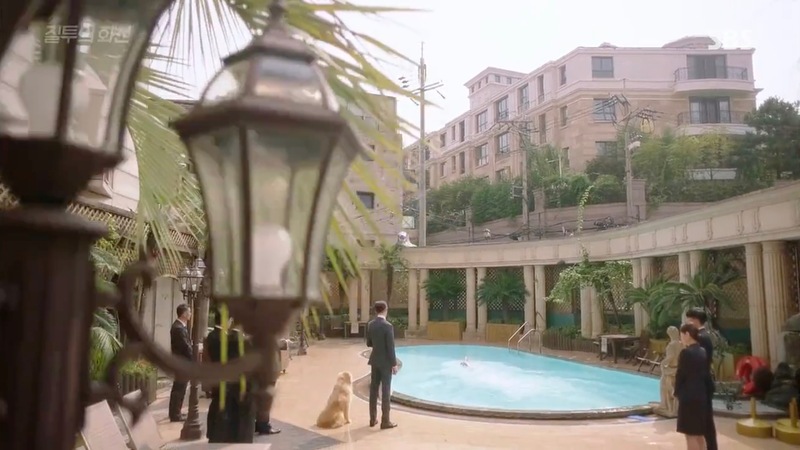 This hotel is part of the L Group, where its youngest heir, Go Jung-Won (Go Kyung-pyo), takes his morning swims in episode 6 of Jealousy Incarnate (질투의 화신) (SBS, 2016); followed by his dog and the hotel’s executive staff that wants him to sign a paper. 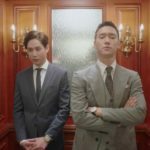 Later in that episode, the hotel’s elevator is also seen. 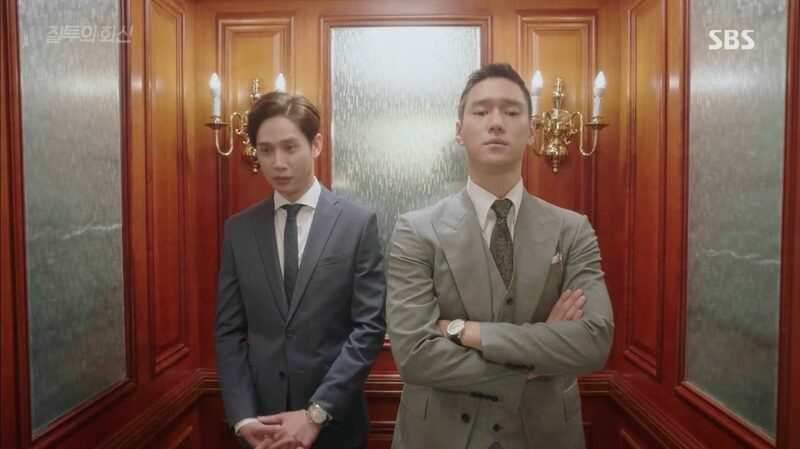 While Joo Jang-mi (Han Groo) prepares a proposal to Lee Hoon-dong (Heo Jeong-min) in a room this hotel in episode 1 of Marriage Not Dating (연애 말고 결혼) (tvN, 2014), Kong Ki-tae (Yeon Woo-jin) is tricked by Hoon-dong to go on a blind date in his place at this hotel’s restaurant/lobby in the same time. 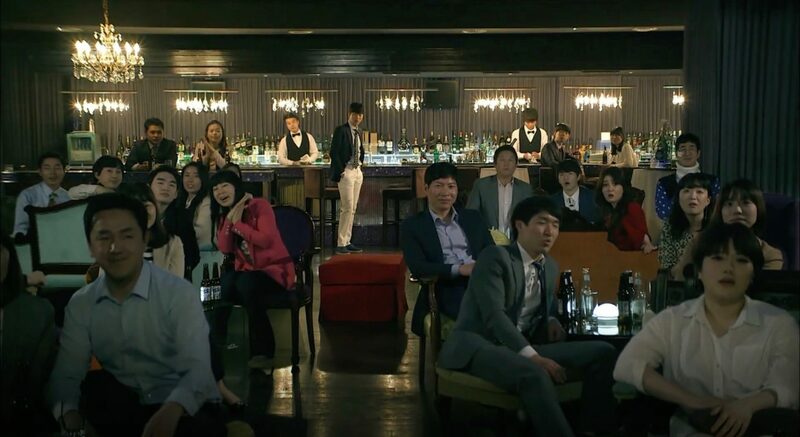 It is at this hotel’s former Zoe Bar that Ban Ji-yeon’s (Uhm Jung-hwa) colleagues play her a trick in episodes 1-2 of A Witch’s Love/Witch’s Romance (마녀의 연애) (tvN, 2014). In fact, they have payed Yong Soo-cheol (Yoon Hyun-min) to charm her and then dump her publicly. Which he does. 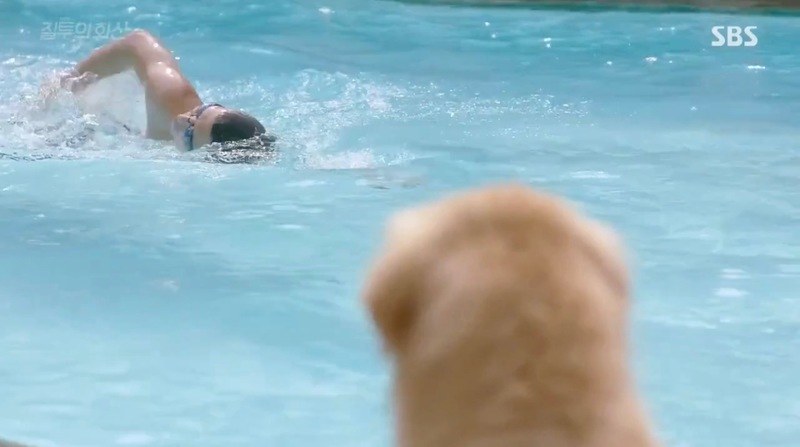 But then also present Yoon Dong-ha (Park Seo-joon) sweeps in and saves Ji-yeon with a kiss, i.e. a “lip service”. This hotel is run by Ji Yeong-Woo’s (Kim Min-Jun) father in Lovers in Prague (프라하의 연인) (SBS, 2005). 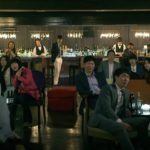 In episode 12, Kang Hye-Ju (Yoon Se-Ah) stays in this hotel and Choi Sang-Hyun (Kim Ju-Hyeok) brings her here while Yun Jae-Hee (Jeon Do-Yeon) has a meeting here at the same time. Also seen in Can We Get Married? (우리가 결혼할 수 있을까) (jTBC, 2012-13); Goong/Princess Hours (궁) (MBC, 2006). 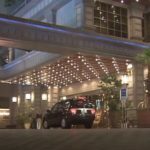 Imperial Palace Hotel [임페리얼 팰리스 호텔] is a 5-star hotel located in Seoul’s neighborhood Nonhyeon-dong [논현동] in the Gangnam District [Gangnam-gu/강남구]. 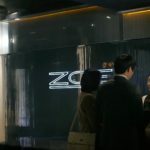 The ‘Zoe Bar’ that appears in A Witch’s Love was since then substituted. 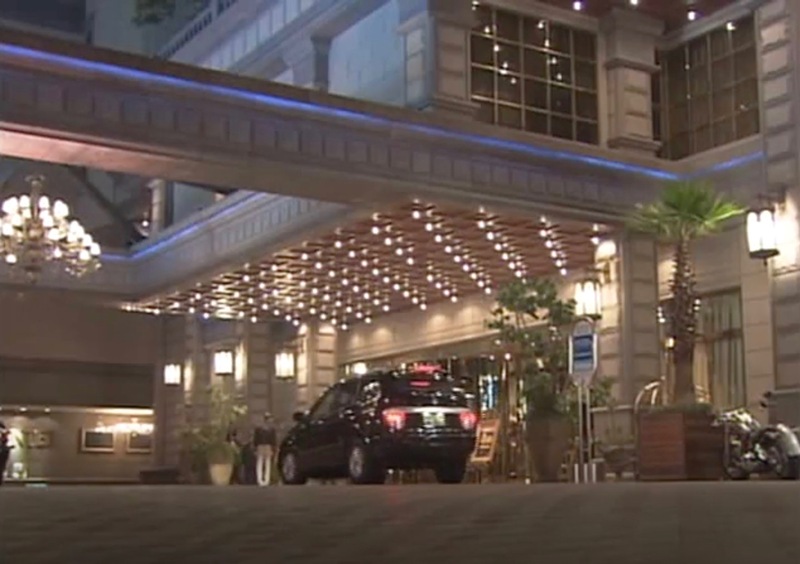 Press conferences of K-Dramas are held regularly at this hotel’s Selena Hall [셀레나 홀].